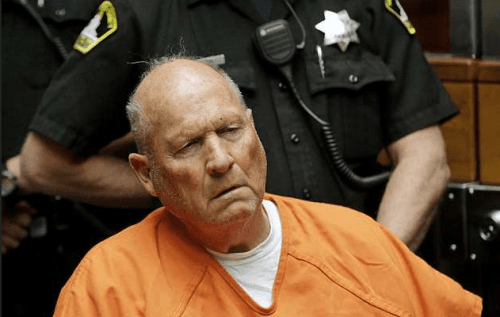 A few weeks ago, police in California arrested a 72-year-old man named Joseph James DeAngelo for the murder of 12 people and lots of other terrible stuff. Up until then, he was known as the Golden State Killer, or the Original Night Stalker, the latter of which makes you wonder how many others are vying for that title. He is now known as the world’s most evil grumpy old man. DeAngelo pulled off his string of awful between 1974 and 1986. He was a former cop, and used his knowledge of police work to avoid being caught for the last 40 years. Then, in April 2018, police were able to get a beat on him through the most chromosomal of sources – a genealogy website. 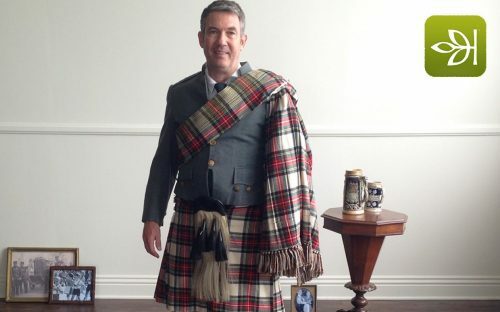 And here Ancestry.com commercials make it look useful only for an excuse to promote cultural stereotypes when you find out you’re 1/94th Scottish. The set-up happened like this: police used DNA samples they had on file to make a fake profile on GEDmatch, which is a DNA/genealogy analysis company and not a dating site for people who didn’t complete high school. People load their DNA profiles to GEDmatch to…find more family members? I’m not actually sure why people use these sites. My family fights enough as is without throwing in a recently-discovered evil twin I didn’t know I had. Anyways, as fate would have it, one of ol’ GSK’s family members had also loaded their DNA profiles to GEDmatch, presumably without considering whether one of their relatives was a serial killer who had been dodging the law for 4 decades. That person’s DNA profile matched the one the police made from their suspect’s DNA, and the all the sudden the murderer who went unidentified for 44 years had a family tree. This was an incredibly lucky break for the police. All humans share 99.5-99.9% of their DNA profile. Meaning all 7.5 billion of us are nearly identical on a genetic level. In fact, we share 98.8% of our genes with chimps (and bonobos, like the one I fought last year). Most of us also have 2% Neanderthal DNA in us. I would make a joke about the GSK being a Neanderthal, but that’s unfair to the Neanderthals. So it’s the 0.1-0.5% of DNA that we don’t share that makes us unique. Genealogy companies look at that part of the DNA to determine family lineage. 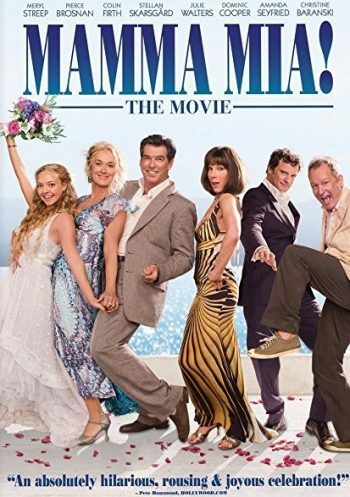 Of the remaining 0.1-0.5% of DNA we don’t share with everyone else, we share 50% of those genes with each parent, 50% with our siblings, 25% with each grandparent, 12.5% with our cousins, etc., right on until the 4th cousin, who is about as related to you as any old stranger. That means that person who matched to GSK’s DNA is his third cousin or closer. And that was a small enough net for police to zoom in on (and get a warrant to follow) Joseph James DeAngelo. They tracked him until he dropped something in public, or basically littered, from which they gathered more DNA and matched it to their original sample, and boom! Straight to jail for the Golden State Killer. And that’s how one tiny genealogy website brought down a notorious serial killer. Now, there are serious ethical questions regarding DNA given for genealogical purposes being used for tracking people down. GEDmatch is completely transparent that their database is public, but is it fair to the relatives of the DNA contributors that their genetic make-up is now public-domain? Yes, you can catch serial killers, but you theoretically could dig up some other serious dirt on people for nefarious purposes, too. These are tough questions. Fortunately, they’re tough questions for somebody else, I’m not going into that here. You want to debate controversial science questions? 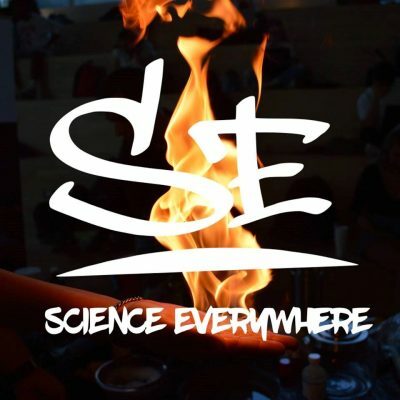 Go to one of Science Everywhere’s Freestyle Socials and debate like hell with a whole group of people. The blog is for fluff pieces. For now, let’s just appreciate the fact that science helped put an alleged serial killer behind bars. All of us are 99.5-99.9% genetically identical, but that other 0.1-0.5% is pretty important. And without all the achievements in genetic research and genealogy, the Golden State Killer would still be out there. And also, you wouldn’t know that you’re probably 2% Neanderthal. If you want to find out much, much more about DNA testing and if it’s something you want to do, check out Rachel’s Hobby Help’s Ultimate Guide to DNA Testing. She knows which one is best for you, and least likely to land your relative in prison for murder. 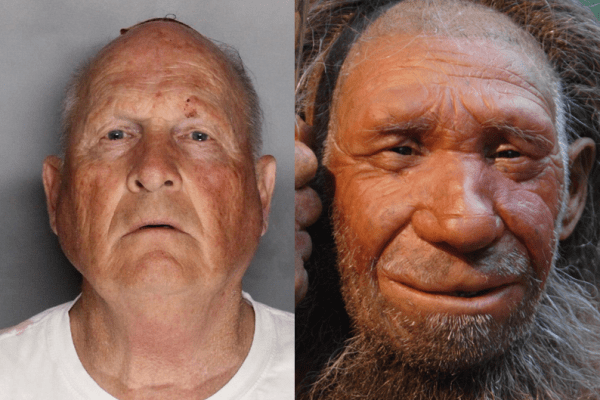 GEDmatch recently revealed Dan is actually 73% Neanderthal. Email him or post on our Facebook / Twitter to see your topic covered here.